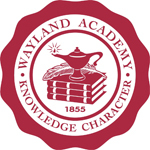 Founded in 1855, Wayland Academy provides a world-class education to just under 200 co-ed high school students in grades 9-12 in the heart of Wisconsin and only a short drive from the Chicago O’Hare International Airport. At Wayland, students get to seize the day in every aspect of life. They have the chance to grow as scholars in small classes and work with two college counselors to build a great high school resume and discover the best college or university for life after Wayland. 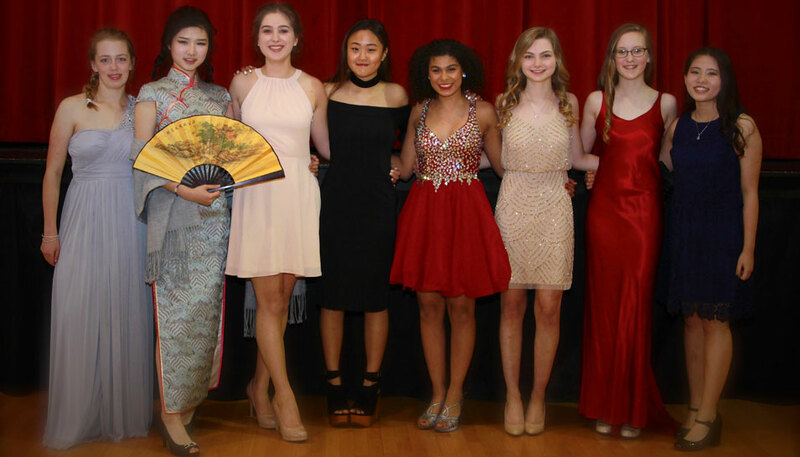 Wayland students compete in 19 interscholastic sports or join up with nearly 30 student clubs, everything from Model United Nations to Robotics or Baking Club! On the weekends, they hang out with friends and go to restaurants, sporting events, concerts, and all sorts of activities in town and in nearby Madison or Milwaukee. Wayland provides young people the opportunity to learn, grow, and compete in a safe small community and the chance to make lifelong friends from 10 states and 32 different countries. With small class sizes and a student:faculty ratio of seven to one, you’ll receive the individual attention you need to succeed and enter college prepared to shine. Wayland’s outstanding faculty provides academic offerings that are wide-ranging and the ability to dig deep in electives in every subject area. Whether you want to explore 3D Design or Environmental Studies or Sub-Saharan Africa or Creative Writing, Wayland offers an array of courses to supplement the fundamentals you need with topics you’re passionate about. In addition, each year students work with an advisor on an Independent Capstone project to delve into a subject of their own choosing and produce research and creative work they truly care about. Wayland’s college counselors help students gain admission to some of the world’s most competitive universities, but they also help students discover the best fit for them and their long-term goals. Our young alumni return with regularity and let us know that they arrived at college better prepared than the vast majority of their peers. Our young alumni are leaders in a variety of careers: law, education, biology, physics, finance, computer science, and many others. Life on campus consists of four residence halls, where you will get to live with your friends in a warm and welcoming community. With 19 sports, 30 student clubs, and 40 leadership opportunities you’ll have the chance to participate and succeed in a myriad of ways. You’ll have the opportunity to explore new activities and see which ones you enjoy the most. Take a chance on a sport you’ve never tried. Build a new skillset with the Robotics Team. Transform as a public speaker with the Forensics Team! One of the nice things about Wayland Academy is that you’ll never be typecast as just one thing. An athlete can be an artist. An actor can still take the prize in mathematics. You can be playing soccer in the afternoon, and later that same night deliver an address to the General Council as Winston Churchill for the Model United Nations team. Beaver Dam, Wisconsin is a pleasant, safe community of 16,000 people, 45 miles NE of Madison, 60 miles Northwest of Milwaukee, and 160 miles Northwest of Chicago. 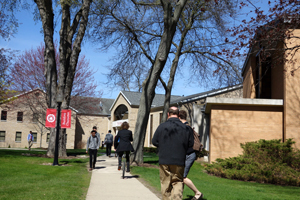 Campus is within walking distance of restaurants, shops, parks, and movies. Coeducational, boarding and day school. 80% of faculty and 75% of students live on campus. Midwestern roots with a friendly, hard-working, family-like community. Transformational college-prep academic and residential life experience. 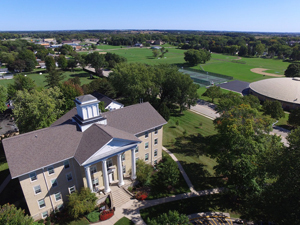 The four pillars of Wayland Hall represent Scholarship, Faith, Health, and Service. Student to Teacher Ratio: 7:1. Approx. 190 students from across the US and over 30 countries around the world. Dedicated to college-prep education and sound character development. Most faculty live on campus and have a masters degree or higher. A cross-curricular emphasis on strong writing and college preparation. Honors courses and 16 AP subjects. Member, Wisconsin Interscholastic Athletic Association (WIAA), with 9 sports for boys and 10 for girls. Clubs and activities include Ecology, Art, Theater, Model UN, Pep Band, Robotics, and many more!